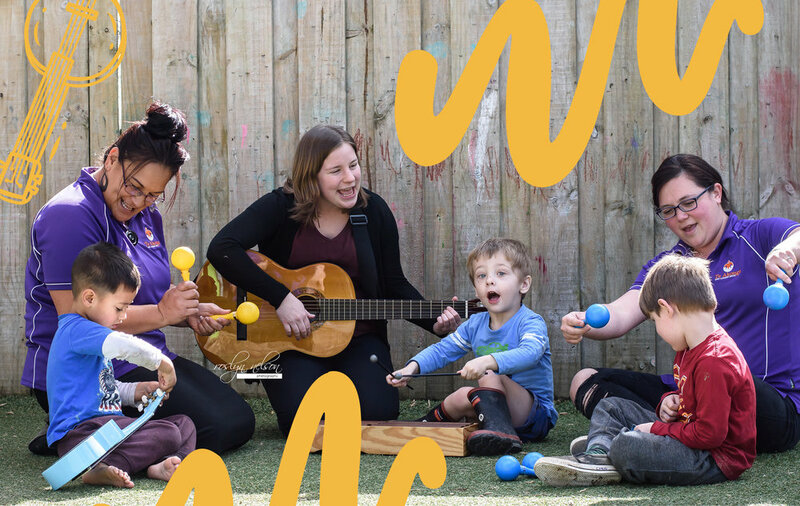 Each Friday morning, Registered Music Therapist Tori travels to Te Akonga Early Learning Centre in Pukekohe to facilitate music therapy groups for preschoolers with autism and developmental delays. During the sessions, Tori uses dancing, singing, and instrument playing activities to promote turn-taking, peer interaction, sharing, choice–making and lots of musical fun! The children’s progress since the groups started in mid-2018 has been a joy for the school’s staff members to see, with Centre Manager Nikki Tarapa saying, “We are celebrating the growth that we are seeing in our children in such a short time.” As children have become more comfortable with the activities, their peers and the music therapist, they have begun interacting more through instrument play and movement activities and showing increased confidence when communicating verbally. Those children who showed low participation in beginning sessions, have increased their social engagement during instrument playing activities. Other children, who originally demonstrated difficulty remaining in the room for the duration of the session, now actively participate in instrument playing and movement activities. Those children who initially spoke quietly, now play and sing loudly while confidently playing instruments. The groups continue to improve in their ability to take turns and work together in music therapy, skills especially noticeable when sharing and passing favorite instruments to each other. Music therapy has given the preschoolers at Te Akonga the opportunity for social development and self-expression, and is an activity that the entire Te Akonga whānau looks forward to every Friday.